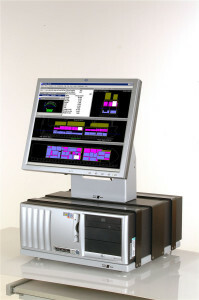 LOCOPIAS is advanced on-board loading computer software for the calculation of intact stability, grain stability, longitudinal strength (including torsion), floodability, damagestability and damage-evaluations calculations. 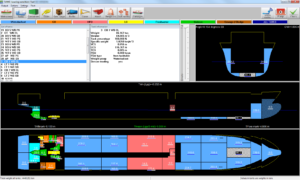 The software is developed in close collaboration with ship owners and crew members which has lead to intuitive and easy to operate software. 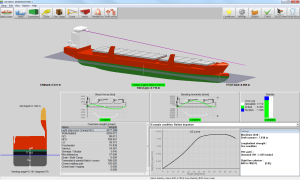 Derived from the PIAS (Program for the Integral Approach of Shipdesign) software for naval architects, it uses the same proven technology to achieveoptimum loading within the limits for strength, stability, draft, etc. This ensures maximum safety of the vessel, the crew, the environment and the payload or passengers. Special options for containers, bulk and grain, cranes, roro and project cargo, anchor handling and sea-keeping performance are available. On this page the background of LOCOPIAS is elaborated, and specific functions and options are discussed into more detail. LOCOPIAS has no limitations concerning the type of vessel or the type of cargo. LOCOPIAS can deal with single, composed and asymmetric hull forms, catamarans, trimarans and odd shapes. 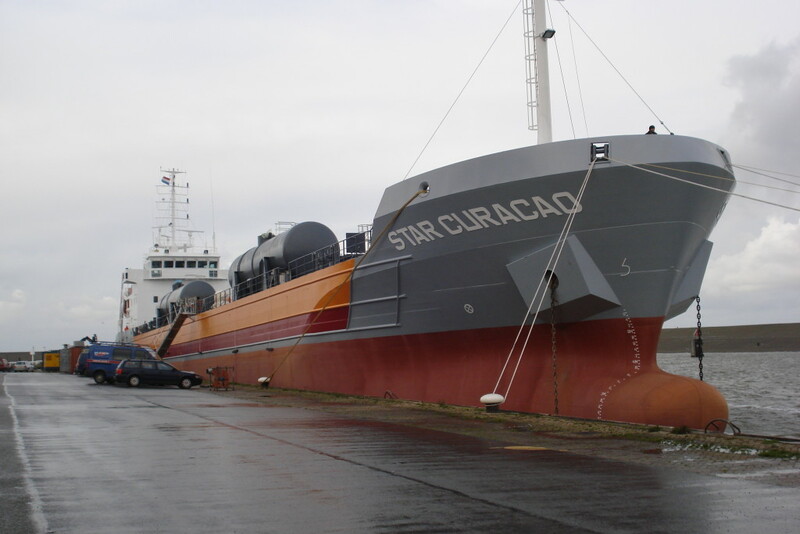 LOCOPIAS can handle dry cargo, containers, oil or gas tankers, passengers, roro, and even special purpose cargo and anchor handling. The core of LOCOPIAS is a library of advanced and accurate calculation methods. 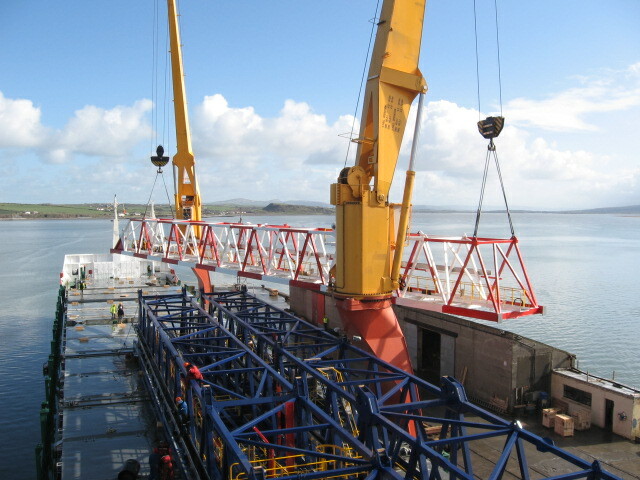 This ensures an optimal loading of the vessel and maximum safety of the vessel, the crew and the environment. LOCOPIAS does not apply tables for hydrostatics, cross curves, etc, but calculates all required data directly from the defined hull, for every combination of trim, heel and draft. LOCOPIAS can calculate tank volumes and tank centres of gravity for actual heel and trim, directly from the tank definition rather than from pre-calculated tables. This ‘first principles approach’ makes the (over)correction of free surface moments obsolete. For some ships this option might allow larger drafts, hence more cargo. With the damage stability module LOCOPIAS offers the crew the possibility to make a good judgement of the situation in any damaged condition and gives them the tool to make the best decision with respect to the movement of loading, salvage, ballasting, et cetera. LOCOPIAS can assess damage stability through direct evaluation of the GZ curve against stability criteria calculations, rather than maximum allowable VCG’ tables. This allows for taking into account the spilling of fluids in tanks, and replacing the overcorrection of free surface moments by direct calculations of the free surface effect, for actual heel and trim. In many cases, this results to higher maximum draughts. LOCOPIAS is written by naval architects; all necessary functions are included, while superfluous gadgets are avoided. Furthermore, quite some research effort is devoted to develop and explore geometric modelling methods, which is reflected in user-friendliness on a level which is more fundamental than the visual layout only. LOCOPIAS can be copied freely for office use, allowing operations to be planned at the ship owner or management office. Data can be exchanged by means of the import and export facilities in the software. LOCOPIAS satisfies requirements of statutory regulations, quality assurance schemes and the ISM code. LOCOPIAS is accepted by all major classification societies and complies with Cat. B and C of ISO standard 16155 (Shipboard Loading Instruments). 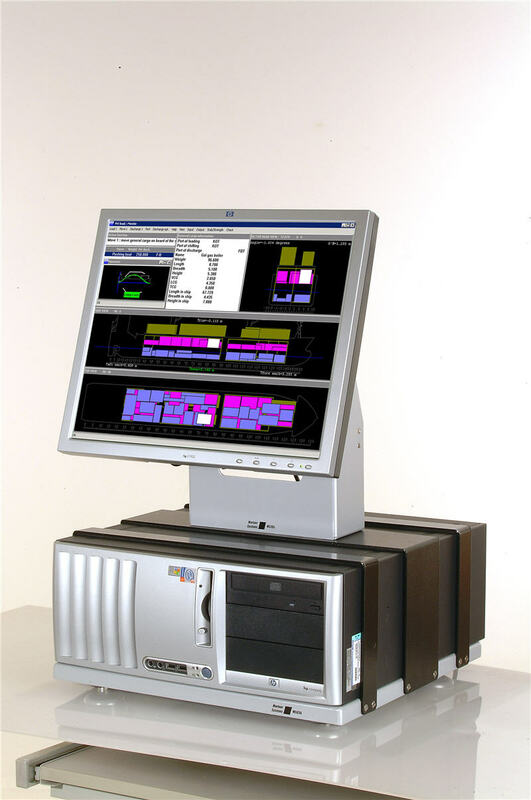 The software provides automated consolidated print outs of test conditions as required by Classification Societies. 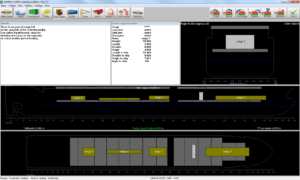 Also, LOCOPIAS provides on-screen verification of compliance with the limits for intact and damage stability, draft, shear forces, bending moments, torsion, grain heeling and line of sight criteria. LOCOPIAS has a modular structure. 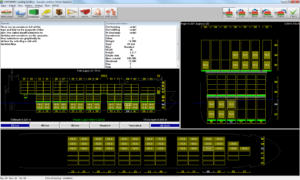 Depending on the requirements for a specific vessel each separate moduleor combination of modules can be integrated in the software. Users only purchase the modules as required for their vessel. Intact stability, damage stability, and longitudinal strength are combined into one comprehensive set of modules. 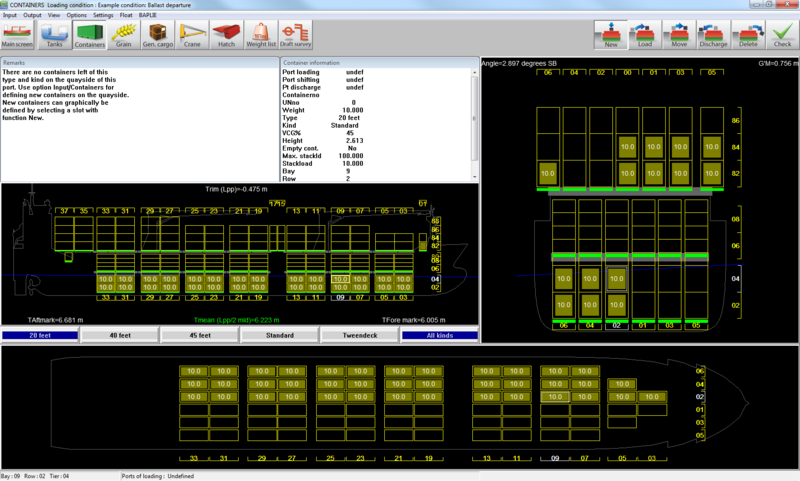 For ship specific options not covered by our current LOCOPIAS suit, custom modules can be developed. LOCOPIAS can interface with on-board cargo measurement systems like automated tank gauges. LOCOPIAS is well integrated with the PIAS suite of ship design software. This guarantees complete equivalence of the paper documents (produced with PIAS) and the results of LOCOPIAS. Often, PIAS data will already be available at the shipyard, which can be imported directly into LOCOPIAS. This ensures a minimum amount of data entry. LOCOPIAS is being used daily on vessels around the world. 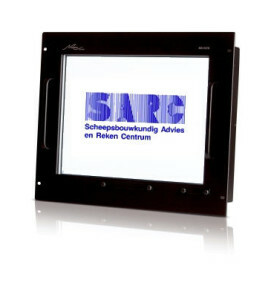 In The Netherlands, SARC is the market leader with its maritime software. For vessels operating under multiple regulations, LOCOPIAS provides easy selection of applicable settings, including multiple sets of (damage) stability and strength requirements. At SARC, each employee is involved in both software development and design projects which utilize LOCOPIAS. New options are continuously developed, on request of users and when the need arises in-house. This ensures LOCOPIAS is always state of the art. All calculations made in LOCOPIAS are based on the geometry of hull form and compartments. All the calculations made are direct calculations, so the program does not use pre-calculated tables of hydrostatics, cross curves or maximum allowable VCG. The correction for free surfaces can be performed on basis of a standard FSM correction or the actual shift of the liquid (both transverse and longitudinal) at every angle of inclination. At higher percentages of tank filling, there is an over-correction of the free surface effects at angles of inclination of more than about 5 degrees, if the standard FSM method is used. A loading condition consists of a number of fixed items e.g. light ship, crew, tanks, et cetera. Variable items such as cargo, deck cargo et cetera can be added. Filling of tanks can be set by weight, volume, %, ullage, or sounding. The actual centres of gravity and the free surface moments are calculated by the loading computer. A virtually unlimited number of loading conditions can be stored. For each loading condition the stability is calculated, taking into account the actual trim of the vessel, both upright and inclined. This aspectis very important for an accurate result, because the stability can significantly change due to the effect of trim. Take for instance a pram-type aft body, which may be just above the water level at level trim. If trimmed by the stern, the aft body could enter the water and thus increase the initial stability considerably. The stability parameters are tested against the minimum applicable stability requirements. Criteria may include IMO A.749 (which includes the former A.167 and A.562), but for specific types of vessels many alternative criteria are available. The minimum and actual values for individual criteria are printed with anoverall conclusion of compliance. Furthermore, the maximum allowable VCG’ to match the criteria iscalculated and compared with the actual VCG’. To check compliance for a series of pre-defined damage cases, with relevant regulations: MARPOL, IBC (for chemical tankers), IGC (for gas carriers), SOLAS (for passenger vessels), et cetera. To define and evaluate an actual damage, and anticipate countermeasures. This capability can solve ISM requirements. In LOCOPIAS the calculation of intact stability andlongitudinal strength is integrated; both apply on exactly the same loading conditions. The calculation of longitudinal strength determines the distribution of shear force, bending moments, torsion moments and (optionally) sagging. At specific Read Out Points the shear force and moment are compared with the maximum allowable values, as specified by classification societies. An overall conclusion of compliance is shown. This calculation option of LOCOPIAS is optimised for high performance and accuracy; the number of weight items to model the distribution of the light ship weight is virtually unlimited. LOCOPIAS can be delivered including hardware. If required by classification society this hardware can be equipped with a so called mariner kit, including certificate of approval. LOCOPIAS is designed for the Windows platform, requiring Windows Vista/7/8 or 10 to function properly. LOCOPIAS is delivered complete with installation, training, operation instruction manual and SARC can provide for the approval by classification society. Through a password-protected section on our website the latest version of the software and manuals are always available for download. Please contact us for further information.